Books and websites that I’ve amassed to date about the art of foraging. Free food, from the wild and the not so wild – ie. the suburbs are a constant source of inspiration and information. An eclectic mix that reflects the sporadic nature of my obsession. 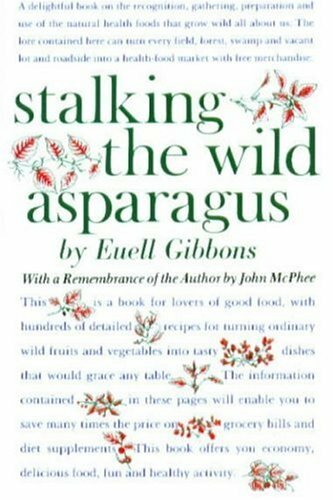 Stalking the wild asparagus by Euell Gibbons. Gibbons was one of the few people in America to devote a considerable part of his life to the adventure of “living off the land.” He sought out wild plants all over North America and made them into delicious dishes. His book includes recipes for vegetable and casserole dishes, breads, cakes, muffins and twenty different pies. He also shows how to make numerous jellies, jams, teas, and wines, and how to sweeten them with wild honey or homemade maple syrup. For perhaps 50 thousand years, the Aboriginal people have lived well from the Australian environment. 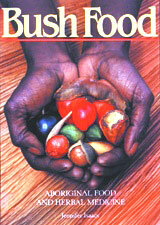 Bush Food by Jennifer Isaacs is an exploration into the traditional skills of Australia’s Aborigines and their unique knowledge of the nutritional and medicinal value of native plants, and the respect and understanding they have of animals – how to hunt and cook them. 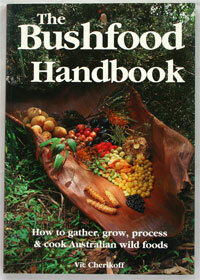 The Bushfood Handbook by Vic Cherikoff and Jennifer Isaacs is a ‘how to’ book about finding, growing and utilising a broad range of Australian bushfoods. As a foraging guide, this book is also ecologically conscious and environmentally friendly and has been written to help us better value our country. Chapters on foraging in cities inform on plant recognition, location and how best to eat the foraged items. 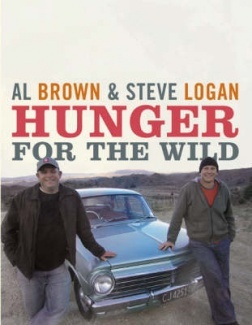 Based on the high-rating TV series of the same name, Hunger for the Wild Al Brown and Steve Logan as they travel New Zealand in search of wild food. Learning about local food, the land and the people who harvest it, each chapter includes recipes and information on history and local identities. West coast crayfish, Whanganui River wild pig, paua from the Wellington coast, whitebait on the West Coast, rabbit in Otago, flounder in Kawhia, crabs from Waikanae and eel from Canterbury. 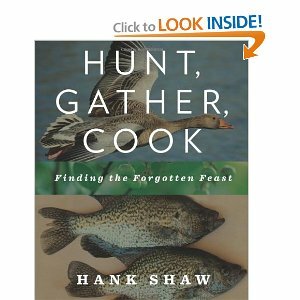 Hank Shaw blogs his passion for hunting and gathering in Hunter Angler Gardener Cook. In his book Hunt, Gather, Cook, he shares his experiences in the field and the kitchen of North America’s edible flora and fauna. Shaw provides a user-friendly, introduction to tracking down everything from sassafras to striped bass to snowshoe hares and then provides innovative ways to prepare wild foods that go far beyond typical campfire cuisine.